We create entertainment that excites — that’s local, on all channels, with more adressable total reach and improved monetization. In the newly created position as Chief Digital Officer entertainment, your goal is to closely connect the Group’s digital and linear content offerings. what does that exactly mean? The goal for our Entertainment business is clearly ONE Entertainment. In other words, we are systematically integrating our TV and digital offerings. All our efforts are motivated by our desire to delight audiences. And to do that, we have to be on all the platforms viewers frequent. Our show “Promi Big Brother” is a case in point: For a number of years now, we have not only aired the show on TV, but also on our own apps and websites. With the most recent season, we even went a step further and also made the content available on YouTube, Instagram and similar channels. Initial fears of cannibalization were ultimately never borne out. Quite the contrary, the sixth season of the show captured an impressive market share of 16.8 percent among 14- to 49-year-olds, making it the most successful since 2015. And that wasn’t just true of TV: The more than 25 million video views recorded across all digital platforms represent an increase of 143 percent over the previous year. We increased our digital reach by 60 percent — a real achievement! What is behind the idea of “total reach”? The name says it all: It refers to the overall reach of our shows. At the end of the day, it does not matter whether audiences view our content on TV or online — just that they are tuning in. All viewers are equally valuable, irrespective of whether they are watching on their TVs at home or on a smartphone in the subway. Essentially, total reach means we no longer measure success in solely linear terms; instead, we look at reach across all channels. Our successful format, “Germany’s Next Topmodel” shows that audiences already access up to 25 percent of this content via digital channels. In which way the online inventory of ProSiebenSat.1 will be expanded? Our online inventory developed far beyond expectations in 2018. We increased our digital reach by 60 percent — a real achievement! Which is not to say we plan to stop there. We have a lot in store for 2019. Firstly, we aim to extend our TV content’s reach even more systematically in the digital world. On top of that, we have set out to produce additional content for young target Groups as well as products that are completely independent of the TV universe. Our new live quiz app Quipp is a good example of this. Quiz fans can use it to put their knowledge to the test. One of our biggest projects in 2019 will, of course, be the joint venture with Discovery Communications: Together, we are launching a station-independent, aggregated video platform with offerings that cannot be found in this form anywhere else in Germany. ProSiebenSat.1 and Discovery Communications are working together to establish a streaming platform for Germany, and are aiming to attract ten million users within the first two years. The joint venture has its sights set on creating a provider-independent OTT platform that offers a comprehensive entertainment package with live streaming, media libraries including high-caliber German offerings, and the best from Hollywood as well as high-quality sports content. As a result, the platform will take digital entertainment to a new level, customized to deliver what viewers want — whether that means an extensive, advertising-financed basic offering or an extra paid package with access to exclusive sports broadcasts and movies. The streaming platform makes content available among others from the ProSiebenSat.1 and Discovery channels, along with the programs of SPORT1, WELT, N24 Doku, ZDF, ZDF info and ZDF neo, with additional partners to follow. The video-on-demand portal maxdome as well as Eurosport Player will also be integrated into the paid platform. ProSiebenSat.1 and Discovery are developing custom content for the platform, including a series co-produced with ProSieben by Klaas Heufer-Umlauf, who will also feature in the show. A team of over 200 experts is working flat out to achieve a successful launch in the summer of 2019. We have continued to expand our comedy offerings over the past few years so that SAT.1 is now the premier station for German comedy. The red button on TV remotes now unlocks a whole new world of entertainment. It offers viewers direct access to additional program-related content, including entertainment on demand as well as interactive news and background information. All the while the current show remains on screen. The new red button portal focuses primarily on dual consumption: Users can continue watching TV while while navigating the portal. In the process, they can browse through all of ProSiebenSat.1 stations’ media libraries, selecting full episodes and content tied to the TV formats or dipping into the interactive entertainment feed with its video and text updates and services. What’s more, there are topic channels that bundle content from the media libraries into different playlists. On certain shows, the red button also allows audiences to guess or vote on outcomes live. To use the portal, viewers need a smart TV set that supports the HbbTV standard and is connected to the Internet. ProSiebenSat.1’s HbbTV portals are currently called up by around three million viewers a month, potential reach is roughly 12 million. Research shows that the red button function increases the time viewers spend watching linear TV. When consuming the additional portal content in tandem with TV, the audience remains within the ProSiebenSat.1 universe. In this way, the red button function meets viewers’ desire for supplementary entertainment while simultaneously opening up additional marketing opportunities for ProSiebenSat.1. 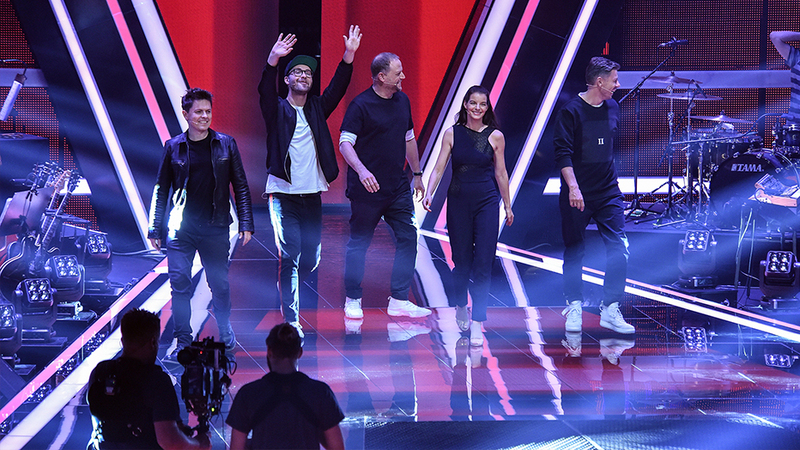 In 2018, “The Voice of Germany” was more digital than ever before: Exclusive, online-only content more than doubled compared with the previous year. Along with talent performances and exclusive sneak previews, the music show’s eighth season also featured a podcast, exciting coach stories and the #TVOG Unplugged series. This helped boost the show’s performance across all digital channels by 30 percent compared with 2017. More relevant content from within. ProSiebenSat.1 is strengthening the Group’s expertise in the information field and expanding production activities here. Why is this new focus so important? This move emphasizes our objective of sharpening our journalistic profile and producing more socially relevant and opinion-forming formats in-house. As with the successful reportage series “Uncovered”, we want to present information programs in a modern way and tell stories so that we reach above all young target groups — after all, they are tomorrow’s multipliers! What measures have already been taken and how are they reflected in programming? From mid-2019, SAT.1 will produce the magazine “akte” in-house. My colleague Heiko Knauthe and I are currently setting up an internal editing department in Unterföhring. Alongside successful formats like “Galileo”, “taff” and “Abenteuer Leben”, we also intend to develop, conceptualize and produce further programs in-house going forward. One household, one advertising message — across all digital entertainment devices. SevenOne Media’s cross-device bridge combines TV advertising with digital offerings, creating new, cross-genre opportunities for advertisers. Advertising messages can now be selectively targeted at various end devices within a household. Thanks to the cross-device bridge, campaigns can be finely targeted, optimally calibrated and perfectly coordinated across both TV (e.g. via addressable TV) and mobile devices (e.g. smartphones and tablets). For advertisers, this not only opens the door to new storytelling options but, above all, also allows for advertising exposures to be fine-tuned at a household level. Starting in 2019, advertisers can book the cross-device bridge — which is built on ProSiebenSat.1 Advertising Platform Solutions’ programmatic technologies — on a regular basis. This new form of household targeting represents another major step toward smart reach, but it is just one of many advertising technologies in which ProSiebenSat.1 is increasing its investments in 2019 in order to better monetize reach. 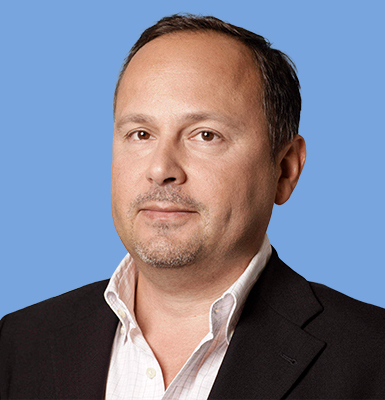 In the medium term, the Group aims to grow addressable advertising’s revenue share of the entertainment segment to 25 percent. 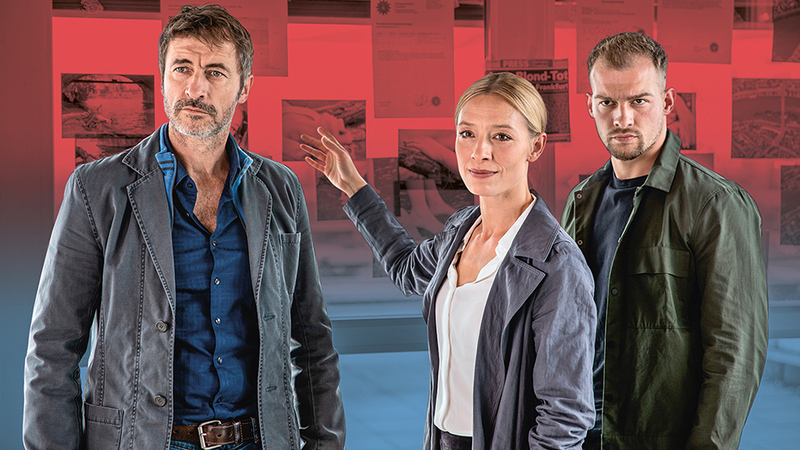 2.72 million viewers watched the thriller “Jung, blond, tot — Julia Durant ermittelt” in December 2018, which marked the premiere of the new SAT.1 series based on Andreas Franz’s best-selling novels. In 2019, the station intends to maintain its focus on powerful film series based on German fiction. In addition to Frankfurt-based Inspector Julia Durant’s story, successful true-crime thriller “Zersetzt — Ein Fall für Dr. Abel” is also being continued. TV chef Tim Mälzer’s appearance on “Duell um die Welt”, the ProSieben show where Joko’s and Klaas’ teams go head to head, was making headlines even before it had been aired. Mälzer’s task was to serve up a truly explosive dish. During a challenge, he was accidentally engulfed in a fireball but fortunately made a speedy recovery. Even before the show was televised, the ProSieben editorial, communications and Buzzroom teams posted video material exclusively on the ProSiebenSat.1 video marketplace glomex as well as on the ProSieben digital channels. On the day of the broadcast, the Buzzroom clip had already generated an exceptional 405,946 video views. To date, the video has been watched more than 750,000 times, making it the most successful glomex clip in recent years. On TV, “Duell um die Welt” achieved an impressive 14.6 percent market share among 14- to 49-year-olds. A record achievement in terms of total reach! ProSiebenSat.1 has catapulted the National Football League (NFL) from a niche sport in Germany right into prime time. The broadcasting group has been systematically expanding its football strategy since 2012, now airing 51 live games per season. 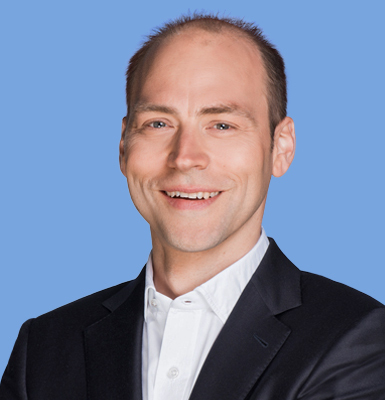 “We feel it’s vital to create a cross-media entertainment experience covering various aspects of NFL sports events that will thrill our viewers and our loyal community,” says Christoph “Icke” Dommisch, “ran” editor and sportscaster. “With the live broadcasts on TV and ran.de, our weekly magazines and the reporting on our social media channels, we have made ‘ran Football’ a genuine hit brand – and we’re really proud of that,” says Alexander Rösner, Senior Vice President Sport. 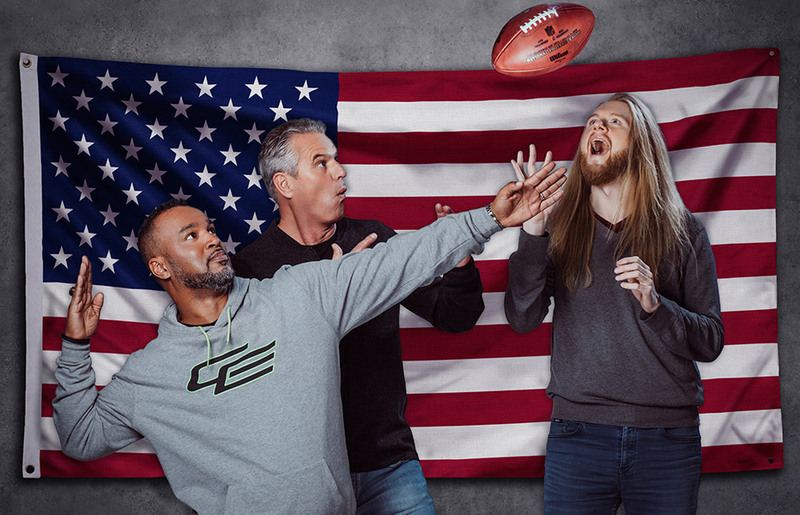 “On ProSieben, Super Bowl 2019 reached an average of 1.5 million viewers after midnight and achieved a record market share of 43.9 percent in the 14- to 49-year-old demographic.” And that’s not all Alexander, Icke and their sports colleagues have to cheer about: In February 2019, the “ran Football” NFL live broadcasts were named the Best Sports Show by the 2019 Deutscher Fernsehpreis (German Television Award). Image: Christoph “Icke” Dommisch (right) is not just an editor for ProSiebenSat.1 Sports; since 2015, he has also been involving the online community in the shows and commentating, too. During the “ran Football” broadcasts, he works alongside NFL expert Patrick Esume (left) and anchor Jan Stecker (center), connecting with the football fans online. The group of 14- to 69-year-olds in Germany currently consumes an average of around five hours of video content per day. This represents a 12 percent increase compared to 2015. Linear TV is by far the most dominant medium, accounting for around four hours per day. This is in spite of the ever-increasing range of available options, with more and more viewers live-streaming TV content or accessing it through media libraries and other video platforms. Consumers in Germany spent EUR 36 billion on entertainment in 2017 — and that number is on the rise. In the coming years, it is predicted to grow to EUR 40 billion. The ProSiebenSat.1 stations thus delivered their best monthly result in three years. The stations put in a strong performance in 2018 as a whole, with an average market share of 27.8 percent and linear growth of 0.8 percentage points compared to 2017. This market share makes 2018 the most successful year in the history of ProSiebenSat.1 PULS 4. ATV and ATV2 contributed to this success with their best combined result since the two stations were launched, as did PULS 4, Austria’s leading private TV station, which achieved its highest ever annual market share on its tenth anniversary. 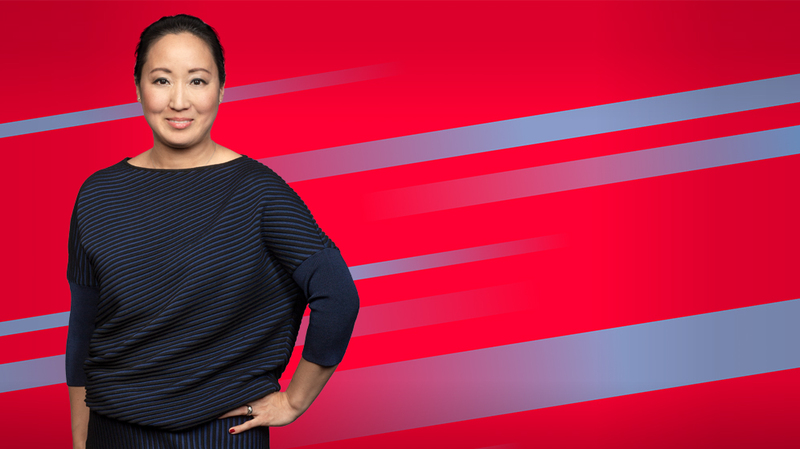 To ensure a modern and future-oriented entertainment business, ProSiebenSat.1 is placing a stronger emphasis on local content across all channels. This will allow it to achieve a high total reach and monetize even better. In the future, the share of local productions is expected to increase to more than 50 percent. However, the right mix is key: Licensing packages with US studios continue to ensure the best possible terms for the latest US series and blockbusters. BuzzBird founders: CEO Felix Hummel (left) chats to Chief Strategy Officer Andreas Türck. By acquiring a 42 percent stake in BuzzBird in November 2017, ProSiebenSat.1 Group has rounded out its portfolio with one of the leading names in influencer marketing. BuzzBird was established in 2016 by former ProSieben talk show host Andreas Türck and Felix Hummel. Their goal? Making influencer marketing predictable, measurable and scalable. What’s the story behind BuzzBird? Our team aims to professionalize and revolutionize influencer marketing. With our technology and skills, we want to make this subject child’s play for our clients once and for all. How? By bringing agencies and brands together with suitable social network influencers. Our technology facilitates rapid, data-driven matches that result in a partnership that just clicks. Thanks to this business model, we were voted one of the 100 most innovative German start-ups in 2018. What makes your business model attractive to ProSiebenSat.1 and how do you benefit from the partnership? We believe in fusing commerce and entertainment – and that people as media are becoming increasingly important. What’s more, we feel strongly that, looking ahead, the implementation of influencer marketing campaigns will be exclusively data-driven. Which is precisely where our business model comes in. As part of ProSiebenSat.1, we also benefit from teamwork with other Group companies, specifically those in the AdTech sector. We have over 10,000 registered influencers, including both musicians and TV stars. That makes BuzzBird one of the market leaders in Germany. At present, we roll out over 1,000 campaigns a year for top brands – not just in Germany, but also in Austria and Switzerland. We live ONE Entertainment, which is why we are systematically integrating our TV and digital businesses and have a presence on all platforms used by our audiences. We focus on local and digital content, striving to delight audiences with the best entertainment and user experience, irrespective of where they view our program. We are establishing total reach, which means we no longer measure success solely in linear terms but instead aim to monetarize our reach across all channels. We are making our total reach smart: Thanks to addressable advertising, commercials are even more relevant to viewers and we tap into additional revenue sources.